Citing Sources - What Does It Mean? Listing the information for the sources you are using at the end of the paper. Providing accurate information here will allow your readers to refer back to your sources if they would like additional information. 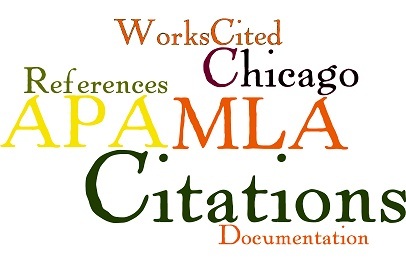 Depending on the writing style you are using, this list of sources may be referred to as your “Works Cited,” “References,” or “Bibliography” page. The method you use for documenting information within your paper will depend on the style that your instructor has asked you to use. Because the most commonly-used styles at our college are MLA, APA, and Chicago, those are the styles we will focus on in this resource guide. Whether you are using direct quotes or paraphrasing your information, you must include documentation for where the information originated. If the information is “common knowledge,” or knowledge that others already know or can easily find, you do not need to cite it. 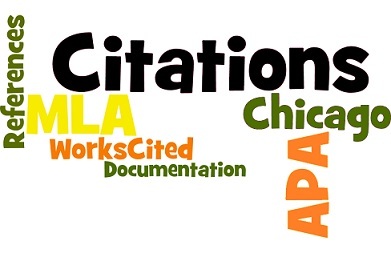 Examples of how to document within your paper, as well as source lists for the citation styles mentioned above are included as separate tabbed pages within this guide. Please remember that assistance is always available from the Brish Library or the Learning Support Center if you have specific questions.